GROUPON PROMO CODES NO LONGER ACCEPTED FOR THIS EVENT. ABOUT: T'Challa, the King of Wakanda, rises to the throne in the isolated, technologically advanced African nation, but his claim is challenged by a vengeful outsider who was a childhood victim of T'Challa's father's mistake. LIVE MUSIC: Visit www.streetfoodcinema.com/black-panther-la for the most current Live Music listing! 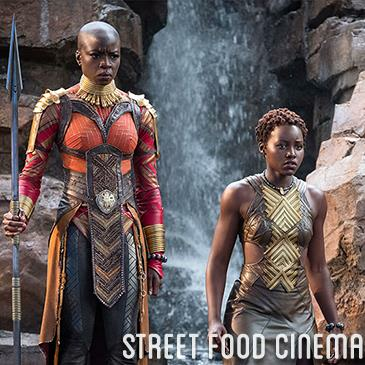 FOOD TRUCKS: Visit www.streetfoodcinema.com/black-panther-la for the most current Food Truck listing!